When Mama Ain’t Happy, Ain’t Nobody Happy. Follow These Rules for a Safe and Fun Stay at Lock 30 Woodlands. Guests of registered campers are welcome, but will pay posted gate fee and must stop in gatehouse for car pass. Only registered campers may bring pets to Lock 30. Guests or visitors of campers are required to leave pets at home. Check-in at 3PM; Check out at 1PM . Early check in and late check out may be available. Ask at the gatehouse. Quiet hours are from 10PM to 8AM. Sound carries in the woods. Sh-h-h! Mama hears all. Clubhouse showers and restrooms open 24 hours. Game room and laundry closed during quiet hours. Children under age 12 must be with adults when in clubhouse. Pool privileges-Parents or responsible adults must be with children under the age of 12 at all times or risk losing camping privileges. Obey all posted rules. Swim at your own risk as often there is no lifeguard present. Pets, smoking, alcoholic beverages, glass or food are not permitted at the pool. No swimming after dark. Mama says “children not toilet trained must wear swim diapers.” ‘Nuff said. Trash will be disposed of in the enclosed dumpsters, but no furniture, please. Campers who use fire rings for disposal of trash or cigarette butts subject to $10 cleaning fee. Pets should be treated with respect and not left unattended. Leash them, clean up after them and keep them from barking and disturbing others. Pets are not permitted in buildings or at pool. Carry proof of current rabies vaccination. Ask about our free pet shower. Speed limit is 5MPH. Pay attention. Drive too fast and mama might hit you upside the head. Parking is limited to two cars per site. Ask management about overflow parking. Trees are for shade and enjoyment. No nails are to be pounded or signs hung on trees. If you must use a clothesline, tie it temporarily only at the rear of your site. Tents may be pitched at the rear of your site with prior permission. Fees may apply. Fishing lake is catch and release. No fishing after dark. Parents must be with children under the age of 12. Bait is available for purchase in gatehouse. Recreational Motorized Vehicles such as scooters, motorcycles, ATVs and motor bikes are prohibited. Golf car use is restricted to licensed adults with physical challenges or by special permission from management. Cyclists should wear helmets at all times and restrict cycling to designated roads or bicycle paths. Firearms, fireworks, intoxication and disorderly conduct will not be tolerated. Alcoholic beverages may be consumed discreetly at your site, but not in public areas or to excess. 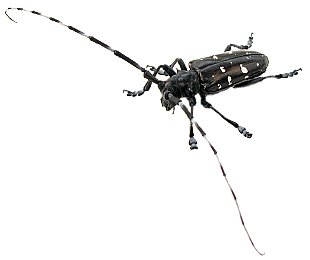 Firewood may not be transported to the campground because of the Asian Longhorn Beetle and other insects. You may purchase firewood harvested on property. Keep mama happy. If she ain’t happy, you ain’t gonna be happy, neither.